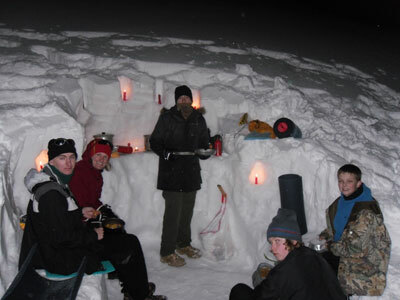 WInter Survival Camping this Weekend! We have a winter survival camping trip scheduled for this weekend up in Mount Rainier. There should be plenty of snow. At this time we plan on leaving the old fire station at 7 a.m. on Saturday. Be sure to come to the Troop meeting on Thursday to participate in the planning meeting for this outing. Its going to be a great camping trip, and you are sure going to want to come. If you are not going to be able to make the trip, make a point to attend Pack 116’s Crossover. It’s on Saturday and starts at 5:30 p.m. For those not planning the camping trip, you get to plan the skit for the crossover.